This is as delicious as it is beautiful – much easier than it looks! This dish must set in the refrigerator overnight. 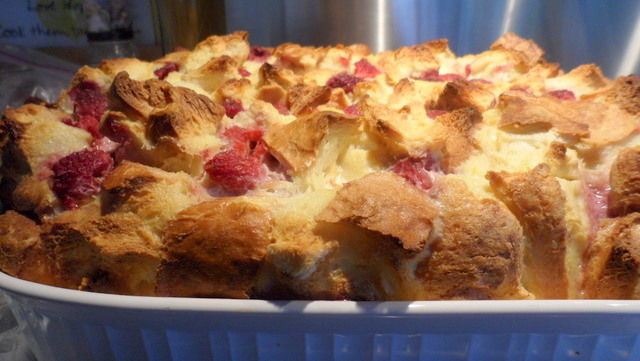 It will give you a deliciously lightly sweet, creamy strata with just a hint of lemon. I use French or Italian bread with the crusts on to give it a chunkier texture. If you have time, tear or cube your bread and spread it out on a flat surface overnight so that is becomes stale. If you are short on time, place your torn or cubed bread on a cookie sheet and place in a 300 degree oven for about 15 minutes. This will give you the same effect. Let it cool before proceeding. 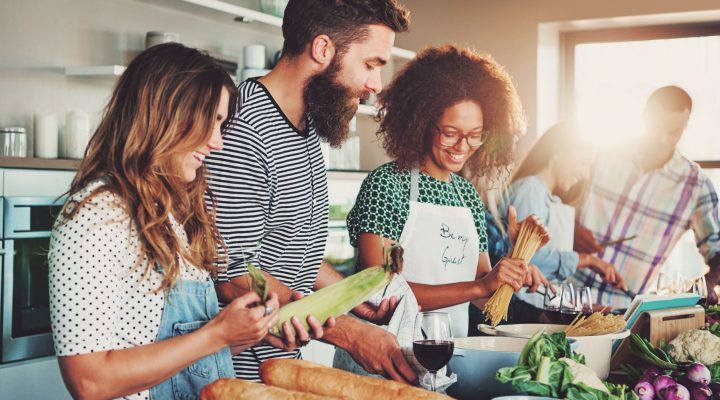 Preheat your oven (if not already done) to 350. Lightly butter or spray a 9 x 13 inch glass baking dish or 14-inch oval gratin dish. Pour the maple syrup over the bottom of the buttered dish. Scatter the dried bread and raspberries in the dish so that the raspberries are spread equally throughout the bread. 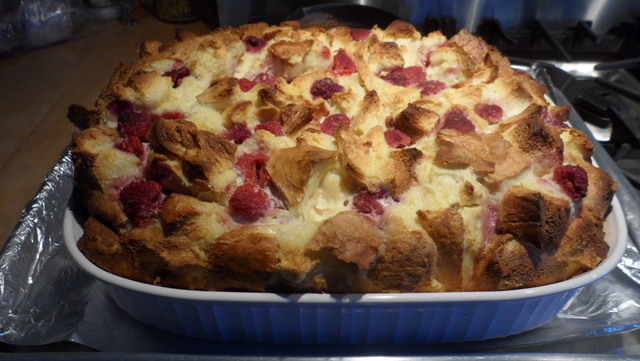 In a large bowl, whisk together the eggs, milk, lemon zest and salt; pour over the bread and raspberries. Bake strata until puffed and golden brown, about 45 minutes to an hour. Transfer to a rack to cool for 5 minutes before serving. You can serve with a drizzle more of maple syrup or a dollop of lightly sweetened whipped cream to which you have added just a touch of Chambord liqueur. Just Enjoy! Makes a great brunch treat for your really good friends or family!